ALAB Pilipinas is now looking for new imports to replace Lee Seung Jun and Lee Dong Jun in its maiden season in the Asean Basketball League (ABL). Alab head coach Mac Cuan confirmed the Lee brothers are no longer with the team and Alab Pilipinas is now in search of replacements before they return into action after the holidays on January 8 on the road against the Kaohsiung Truth. 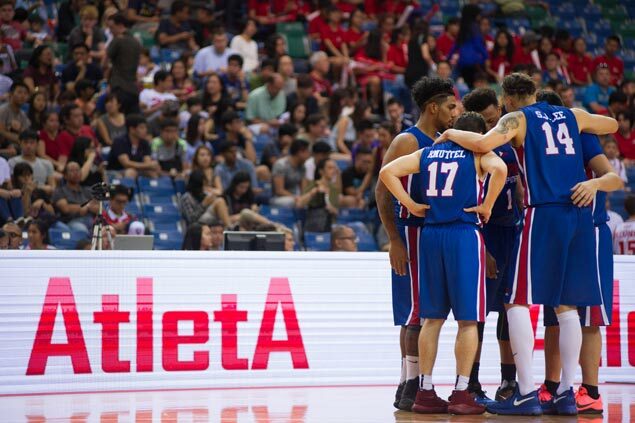 Alab currently holds a 2-2 win-loss record but is coming off a 71-68 defeat to the Singapore Slingers last Sunday at the OCBC Arena in Singapore. The Korean-American imports had respectable showings with Alab but their skill set was left wanting when ranged against the bigger and more athletic reinforcements of the other ABL teams. After averaging eight points and four rebounds in the first three games, Dong Jun, whose American name is Daniel Sandrin, led the team in scoring in the game against the Slingers with 16 points to go along with seven rebounds. Meanwhile, Seung Jun (Eric Sandrin), a member of the Korean national team that played in the 2013 Fiba-Asia Championship in Manila, only had six points and four rebounds against the Slingers after averaging 15 points and nine rebounds in his first three games.